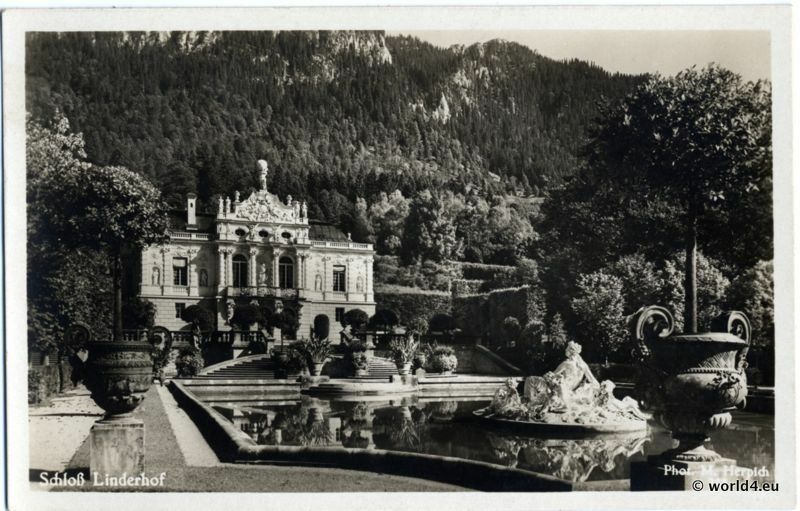 Home » 20s » Linderhof palace. Royal Villa of King Louis II of Bavaria. Replica of the palace and gardens of Versailles, the magnificent former residence of the Sun King Louis XIV. 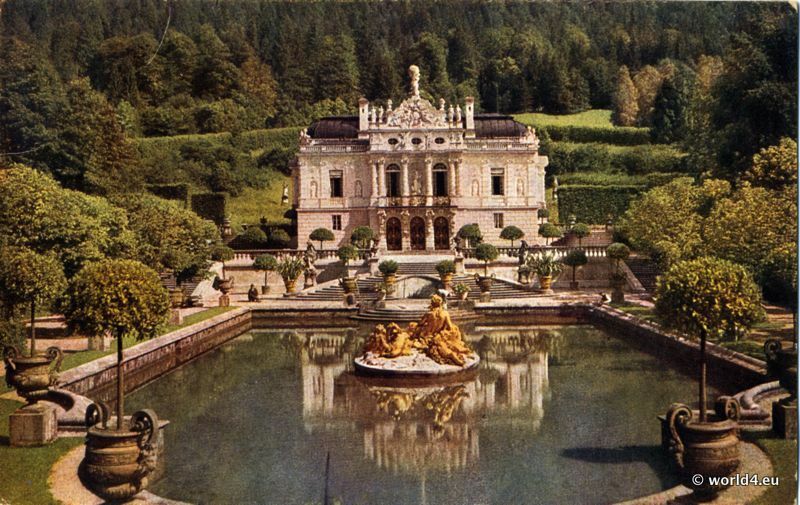 The garden and park in Linderhof is one of the exemplars of the garden art of historicism. Built by King Ludwig II of Bavaria, called the fairy prince. 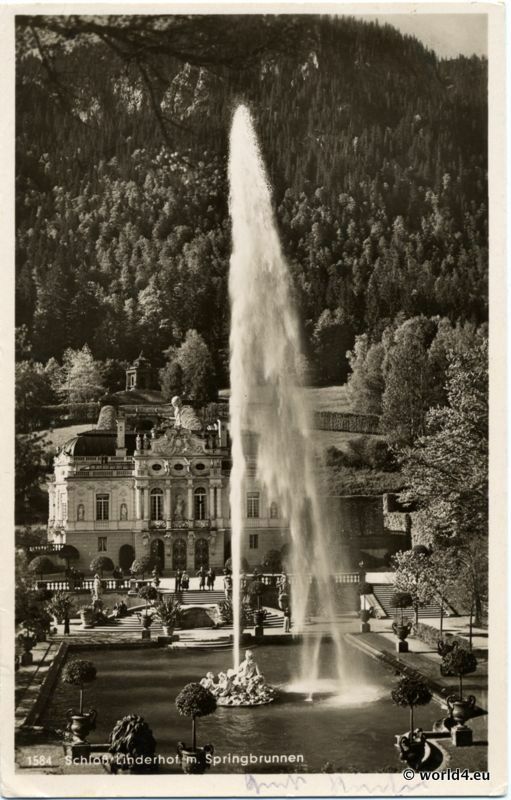 Linderhof palace. The Great fountain. Back of Postcard. 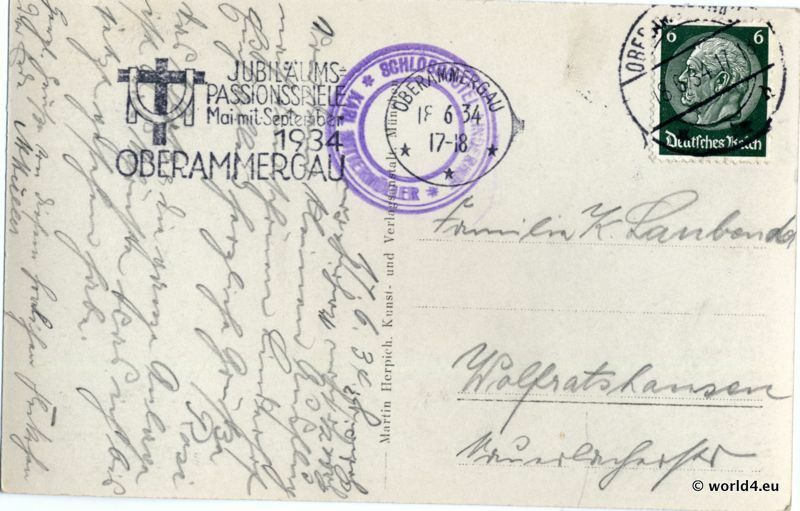 Rare postmark Oberammergau Passion Play anniversary 1934. 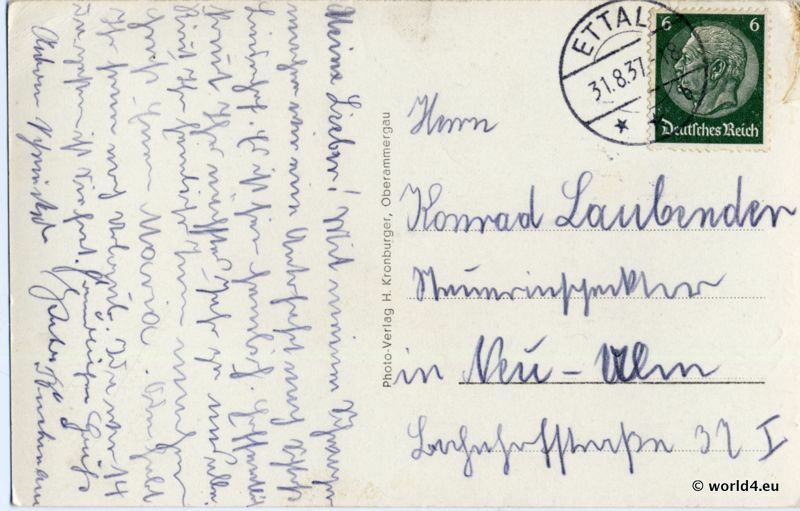 Back of Postcard. German handwriting. Stamp German Empire. Previous PostGerman vintage plaques. Go kart racing, King Louis II. Bavaria. Next PostVintage Scissors design from 1980s, Germany.